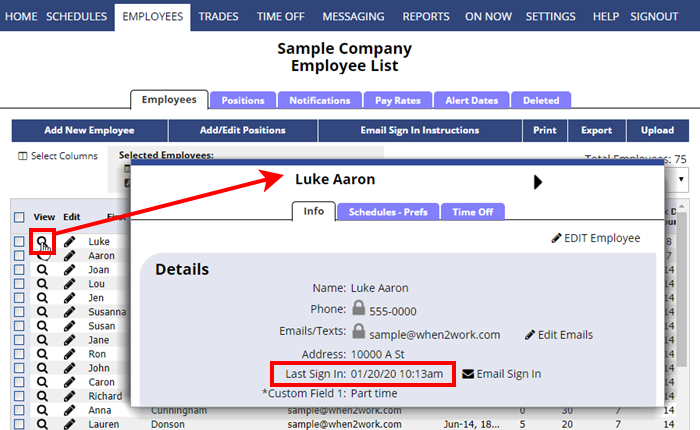 After a schedule is Published, two schedule views show you the status of each employee and whether they have seen or received it. These status icons can tell you at a glance who has seen or confirmed receipt of their most up-to-date schedule for that week. The ‘viewed’ glasses icon is set for any schedule week that the employee views on their ‘My Schedule’ display weekly view. It is reset to ‘not viewed’ whenever a change is made by a manager on that week and then changed to ‘viewed’ when the employee displays the latest version of that particular schedule week through their regular desktop display of their ‘My Schedule’. 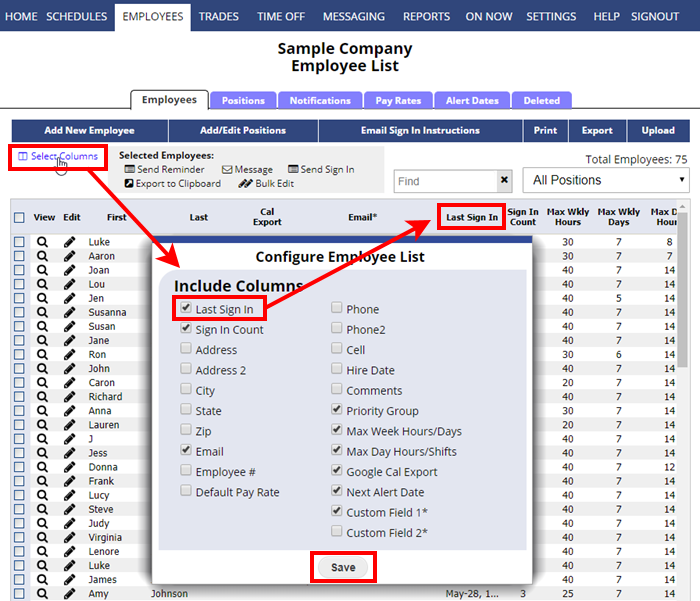 The last date the employee signed in can also be seen in the “View Employee Details Window” which can be viewed by clicking an employee name anywhere in the system or the magnifying glass icon on the List Employees grid.